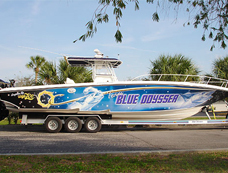 Sign City offers creative design solutions for vehicles of all sorts. 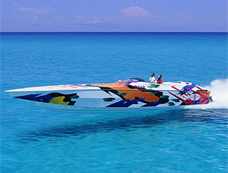 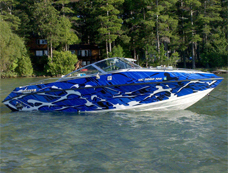 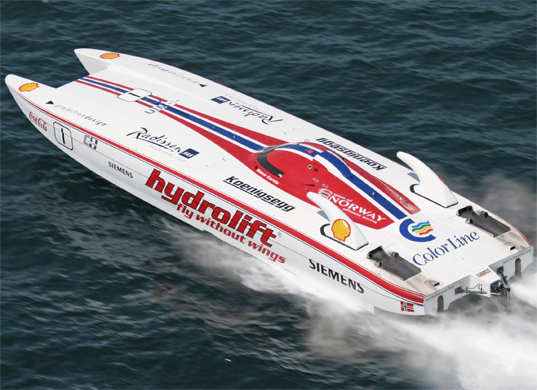 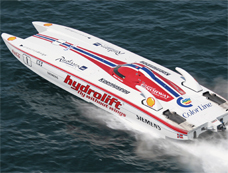 Boat graphics are perfect for any water craft. 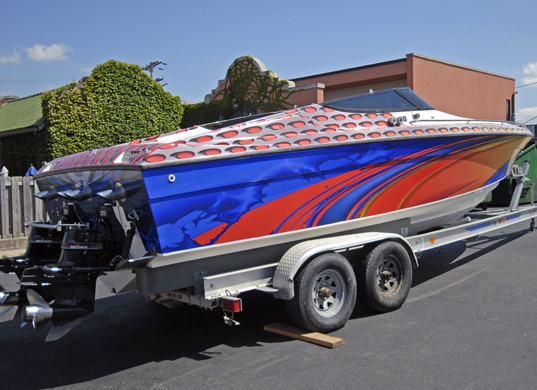 Sign City’s designs are digitally printed on eco solvent printers, resistant to UV rays, and are guaranteed to look great for years. 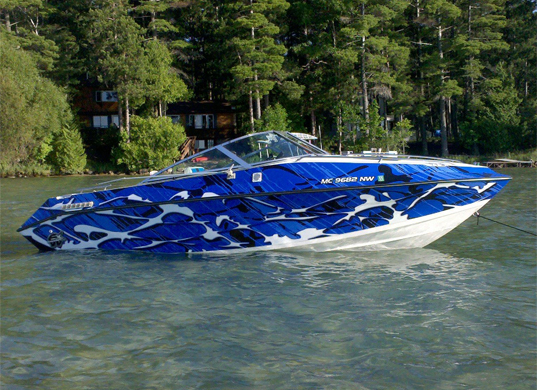 Our advanced application techniques allow us to wrap entire boats, no matter their size. 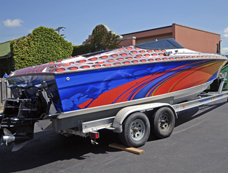 The advanced material that we use protects the actual structure and body of your boat. 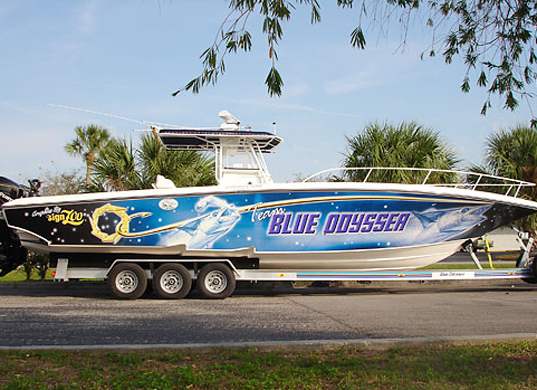 Whether you want a small graphic, text of your boat’s name, or a full body wrap, Sign City can deliver!